I bought this color because Sinful Colors were $.99 this week and because I have been on the hunt for a good yellow for about a month. I didn't realize how hard it is to find a good yellow creme. 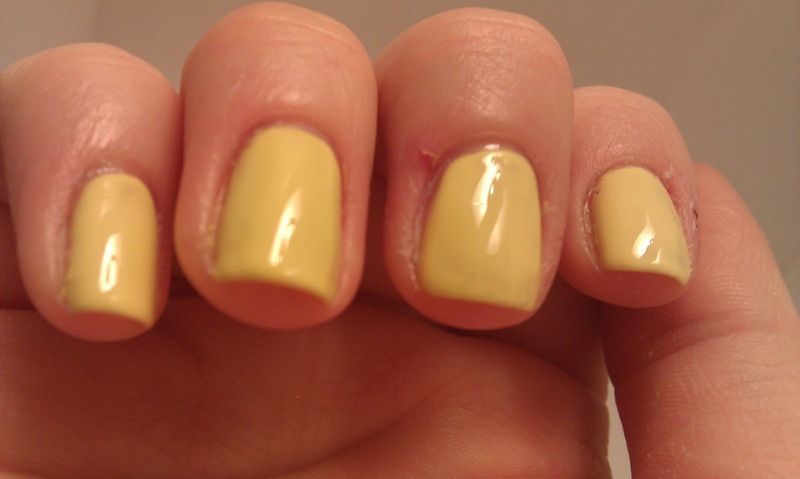 I don't know what it is about yellow pigment but I feel like it makes the polish weird. The first 2 coats were extremely streaky and uneven. I thought a third coat would smooth it out but it took four hefty coats to get it to look like this. As you can see its opaque but its not smooth. 4 coats Unicorn. no topcoat. 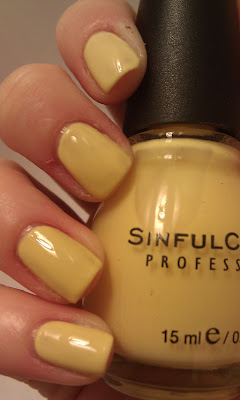 More Sinful Colors on the way!